Migraines are a severe form of headaches that affect upwards of 10% of the U.S population to some degree. Women for unknown reasons are far more commonly afflicted with migraines compared to men. 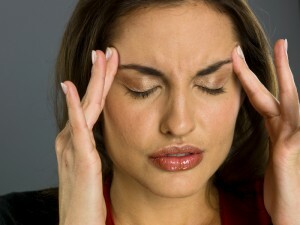 Migraine headaches have a wide variety of causes most of which are not well understood. But one specific type of migraine is known to be caused by irritation of nerves as they exit from certain areas of the skull. This serves as the trigger for a full blown migraine attack. These nerves have been well identified and are located in four specific skull areas. (Frontal, Temporal, Occipital, and Nasal). The nerves becomes irritated because it is compressed by either muscle and/or blood vessels that are right next to these nerves. The squeezing of the muscles and/or the pulsing of the artery on the nerves becomes the trigger point for a migraine attack. Migraine surgery is directed towards eliminating the pressure on the nerves by decompression techniques. This is done by muscle and soft tissue removal or eliminating the pulsations of the adjacent artery. This decompression serves to eliminate the migraine trigger that should at least reduce the number and intensity of the migraine attacks and ideally prevent them completely. Patients need to be qualified before undergoing migraine surgery and almost all of them that present for potential surgery have been through many previous evaluations and migraine treatments, often going through every medication available. The ideal migraine surgery patient can point very specifically to one of the known trigger sites, has migraines that consistently emanate from that site and gets relief by injection of the trigger site with injections using Botox, local anesthetics, or steroids. Frontal migraine surgery is performed through either a superior endoscopic approach from the scalp or incisions hidden in the upper eyelids to reach the muscles and blood vessels around the supraorbital and supratrochlear sensory nerves. This can be combined with cosmetic eyelid surgery or a cosmetic brow lift if desired. Both sides are treated even if the migraines are only on one side to avoid an asymmetry of brow movement. Temporal migraine surgery is performed through either an endoscopic browlift approach or temporal hairline incision to reach the zygomatico-temporal nerve as it courses through the temporalis muscle at the side of the eye socket. In some cases, decompression of the auriculotemporal, nerve and ligation of the anterior branch of the superficial temporal artery may also be done. Because of the nefarious nature of migraine symptoms in general and temporal migraines in particular, every possible technique needs to be applied during the same surgery to maximize the result. Occipital migraine surgery is performed through a vertical incision at the bottom of the scalp hairline in the upper neck. The semispinalis capitis muscle is removed from around the greater occipital nerve as well as all other constricting tissues. Surgery may be done on just one side or both sides based on the patients symptoms. In some cases the fascial attachments of the neck muscles along the nuchal ridge of the occipital bone is also beneficial to relieve a tight poster neck. In my experience occipital migraine surgery is often the most effective of all the types of migraine surgeries. Nasal or retro-orbital migraines are different because they are not caused by a sensory nerve compression like the other three migraine zones. Rather it is caused by a deviated portion of the nasal septum pushing against the inferior turbinate bone, sending a signal from the sphenopalatine nerve upward. Correction is by a septoplasty procedure to reposition it and relief pressure on the inferior turbinate. In most cases the septal deviation is corrected and the inferior turbinate is reduced or removed. Migraine surgery does not always provide a headache cure. Actually it only does so in less than one-third of the patients who have the surgery. But what it does consistently do in the vast majority of patients is reduce the frequency, intensity and duration of migraine attacks. Multiple studies have shown the high success of migraine surgery in properly selected patients. Complications from migraine are few and minor in nature and can include temporary numbness of the nerves treated and minor hair loss around the hidden incisions in the scalp. Migraine surgery often involves different trigger zones which may not be apparent during the initial examination that leads up to surgery. Unidentifiable trigger zones may become very apparent after the initial trigger zone is surgically treated and improved. Thus every migraine patient needs to be aware that a secondary surgery may be needed to treat additional migraine trigger zones in some patients.